Standing vice chairman of Cần Thơ city people’s committee Lê Văn Tâm, representatives of the Labour-Invalids and Social Affairs Department and Cần Thơ Vocational Training Secondary School in the afternoon of July 5th received and worked with the general Vocational Training department under the Labour-Invalids and Social Affairs Ministry. At the working session, Deputy Chief of the Vocational Training General Department Mai Thúy Nga said that the 5th national self-made training equipment contest will be held in Cần Thơ city by late October at Cần Thơ Vocational Training Secondary School. The contest is expected to attract around 50 teams from provinces, cities with around 300 self-made equipments. During the contest, there will be satellite activities like exhibition, workshop, introduction of new technology training equipments produced by enterprises at home and abroad. 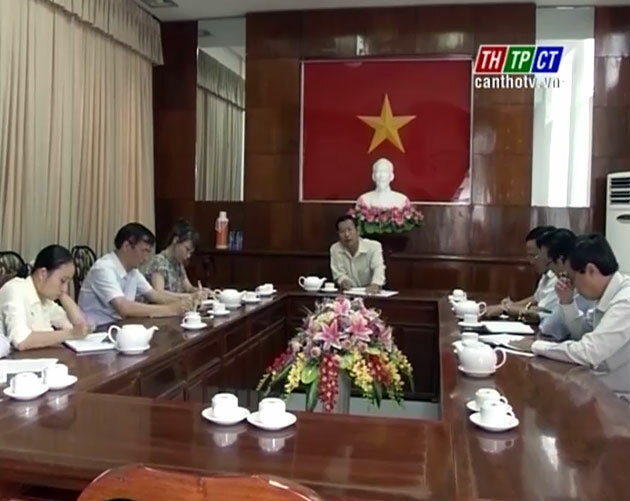 For the successful contest, the vocational training general department suggested Cần Thơ city people’s committee support logistical, technical aspects and other issues./.